Dr. Stephen Strange: Well, what’s this? My mantra? 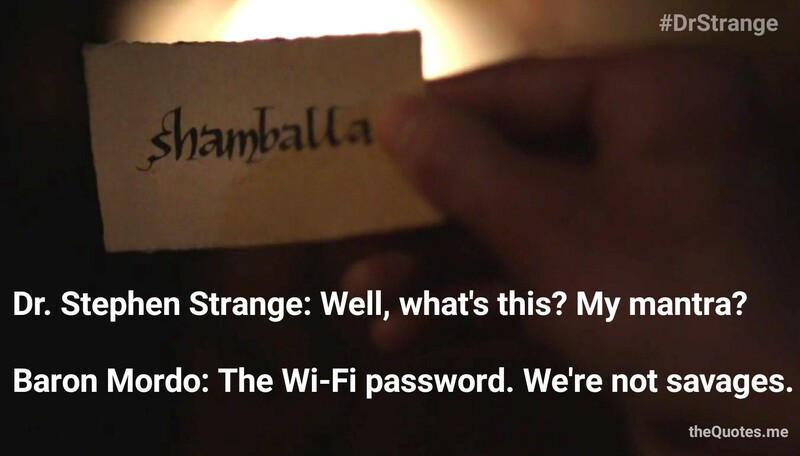 Baron Mordo: The Wi-Fi password. We’re not savages.